Tomorrowland kondigt de eerste artiesten aan voor Tomorrowland 2019. Tomorrowland announces the first artists of Tomorrowland 2019. Reloaded Music presenteert de release van Ashley Smith, Micro Manic. Tomorrowland presenteert, de officiële after movie van Tomorrowland 2018. Tomorrowland presents, the official after movie of Tomorrowland 2018. Het Belgische muzieklabel El Futuro Recordings presenteert de Wavecatcher videoclip van Josh Lasden & Synoptic. The Belgian music label El Futuro Recordings presents the Wavecatcher videoclip of Josh Lasden & Synoptic. Zaterdag 28 juli Tomorrowland 2018, de dag van de KNTXT stage van de Belgische techno koningin, Charlotte de Witte, een recensie. Saturday the 28th July on Tomorrowland 2018, the day of the KNTXT stage of the Belgian queen of techno, Charlotte de Witte, a report. Tomorrowland presenteert de eerste artiesten voor editie 2018. Tomorrowland presents the first artists for the edition 2018. Redt de beste dance radio van België, Topradio. Save the best dance radio of Belgium, Topradio. News en 541 Records presenteren Serious Beats, editie 87. News and 541 Records are presenting Serious Beats, edition 87. News presenteert Serious Beats 87. News presents Serious Beats 87. De On Our Own (single) van Showtek & Brooks Ft. Natalie Major op Armada Music. The On Our Own (single) of Showtek & Brooks Ft. Natalie Major on Armada Music. 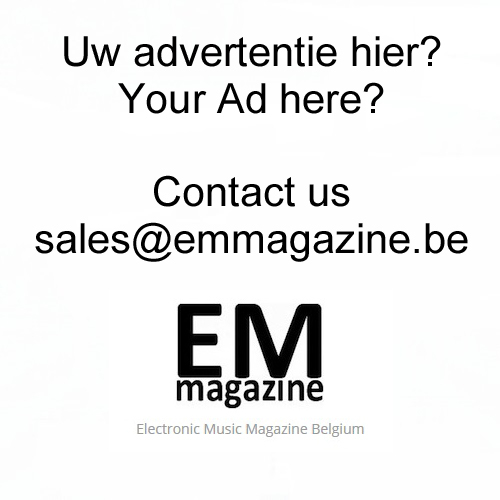 De All Or Nothing (single) van Lost Frequencies Ft. Axel Erhnström op Armada Music. The All Or Nothing (single) of Lost Frequencies Ft. Axel Erhnström on Armada Music. De eerste artiesten voor Tomorrowland 2017. The first artists for Tomorrowland 2017. Verkoop Global Journey Packages voor Tomorrowland start vandaag. Sale Global Journey Packages for Tomorrowland starts today. Lost Frequencies kondigt het album Less Is More aan. Lost Frequencies is announcing the album Less Is More. Mis de belevenis van Tomorrowland 2016 niet door met Tomorrowland TV. Don’t miss the adventures of Tomorrowland 2016 with Tomorrowland TV. 541 Records presenteert Serious Beats, editie 81. 541 Records presents Serious Beats, edition 81. Tomorrowland presenteert het magische boek We Are Tomorrow. Tomorrowland presents the magical book We Are Tomorrow. Armin Only Intense, zaterdag 22/11/2014, in het Sportpaleis Antwerpen. Armin Only Intense, Saturday 22/11/2014, Sportpaleis Antwerp.